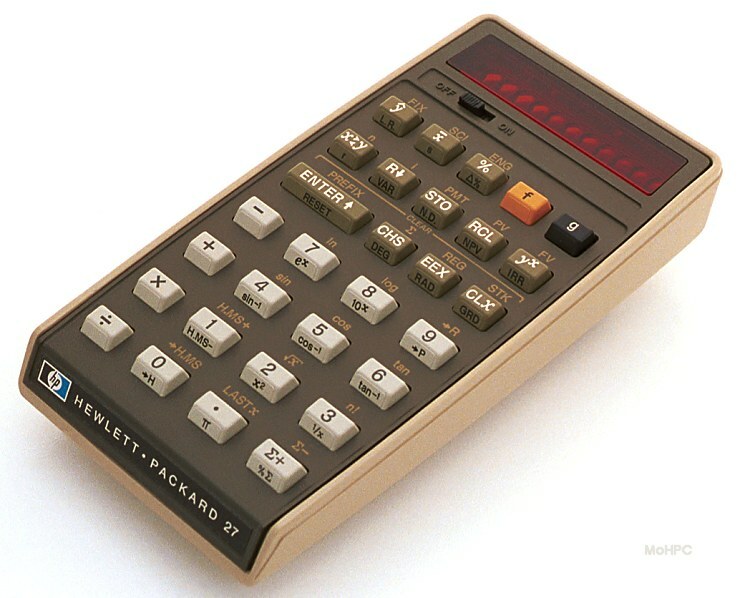 This was HP's first "do everything" pocket calculator. (As long as your definition of "do everything" doesn't include programming.) 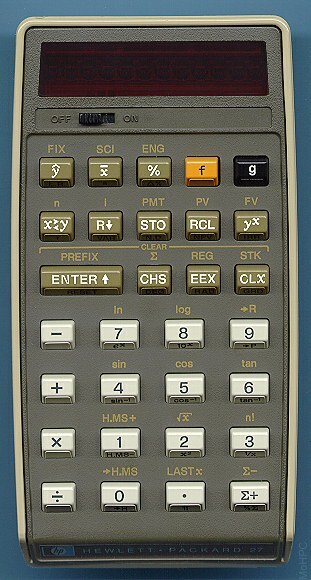 The calculator did math, statistics and business functions. "At last, someone has made "a calculator for all seasons." The HP-27 solves the problems that you, the multi-dimensional professional, encounter everyday. Whether you are juggling budgets, answering a technical question, forecasting trends, checking lab results, or analyzing market data, the HP-27 solves problems fast and accurately to make your job easier." "At work, at home, or on the road... whether you are tackling the company's problems or your own, the HP-27 puts answers at your fingertips. Over a million HP business and scientific pocket calculators are in use throughout the world, so you're in good company with HP!" Just four years earlier, HP boasted of 10 thousand calculators sold. "If Galileo had wished to investigate quantitatively the relationship between time (t) for a falling object to hit the ground and the height (h) it has fallen, he might have released a rock from various levels of the Tower of Pisa (which was leaning even then) and timed its descent by counting his pulse." The example goes on to find the power curve formula that bests expresses h as a function of t.